The Art Writing Workshop is designed to develop an exchange platform for cultural journalists, researchers and writers where they are free to exchange ideas and analyse examples of art writing from home and abroad and reviewing works of the participants. It also aims to encourage participants to write one or several features about relevant topics of their choice. The workshop is also intended to provide a theoretical perspective of art writing to media journalists to enhance their writing. 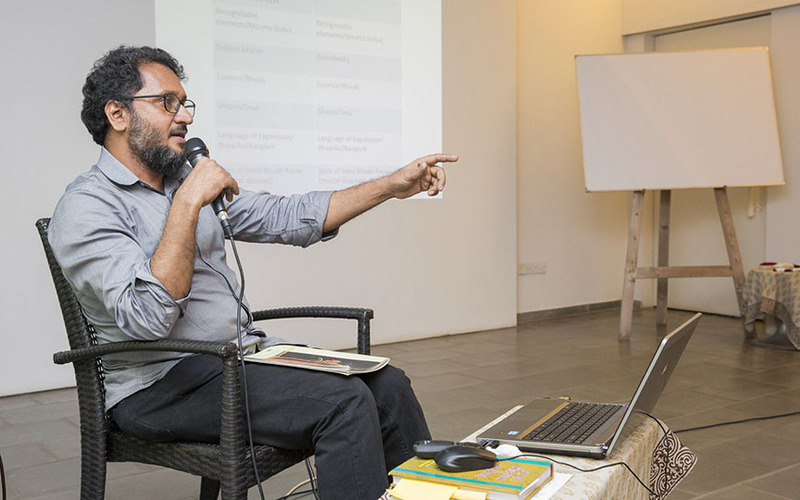 The conductor of the workshop, artist, writer and art critic Mustafa Zaman plans to discuss current theories of art writing and gives participants a broad understanding of current practices in the field. This workshop also looks launch the event of the Art Writer’s Hub Dhaka, an initiative of Bengal Arts Programme. The hub provides a platform for local art writers to discuss their write-ups with peers and publish them through a blog or other publications of the Arts Programme.